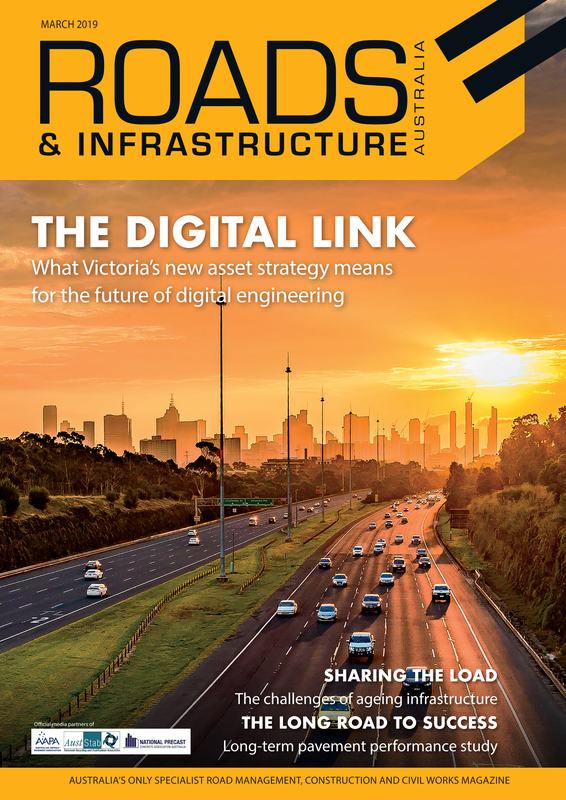 Roads & Infrastructure Magazine spoke to two leaders from heavy equipment manufacturer SANY to better understand the company’s plans for the Australian and New Zealand markets. Chinese heavy equipment manufacturer SANY Heavy Industries has been supplying equipment into the Australian road building construction sectors for some time now. Equipment performance and customer feedback has been relayed to the factory in China to assist in the its product development program and SANY is now ready for a major push into the market. Many in the Australian road building and construction sectors may be surprised to learn that heavy equipment manufacturer SANY has been quietly going about its business for the past decade. This low profile approach has been building towards the Chinese firm’s next step in the Australian market. Roads & Infrastructure Magazine caught up with two of SANY’s heavy lifters SANY Vice President, International Business Kim Lee and SANY Deputy Director of International Sales & Marketing Nitin Khanna to better understand this strategy and the company’s plans for the Australian and New Zealand markets. “SANY is number one in China, and our market share has been growing since the middle of 2016. We realise that if we want further dramatic growth, we must take on the international markets. Over the next five years, SANY will focus on these markets but we need to do things right,” Mr. Lee says. After a significant downturn in the domestic construction equipment market, the Chinese economy rebounded significantly in the second half of 2016, and local manufacturers began experiencing growth. SANY’s market share has improved significantly and it has been growing much faster than any other Chinese manufacturer, according to Mr. Lee, who adds that SANY’s success is reflected in its logo and business philosophy. Mr. Lee says last year’s combined sales revenue was US$7 billion and by August 2018 that revenue was exceeded with the company on track to post sales in excess of US$10 billion. “For the past 10 years, we have had products operating in mature markets like Australia, Europe and the US. This presence has not been to gain market share in a short period – we have to be patient in these markets. Over the past decade, SANY has used its market experience to continue a development program across all product lines. According to Mr. Khanna, SANY has been patient with its global plan. “The past 10 years has been about research and preparation for SANY. We have taken our experience back to the factory and invested heavily in research and design across our product lines. We now see ourselves ready to grow dramatically in markets like Australia – it’s good timing for the brand,” he says. In terms of road construction equipment, SANY has rollers ranging from eight tonne to 18 tonne operating in Australia as well as graders, excavators, mobile port equipment, cranes and the entire range of concrete machinery equipment. “Over the past decade, SANY product has been well received by the Australian market. When you talk about the road, crane, construction and concrete sectors, there is no doubt that customers have full confidence in our equipment and brand,” Mr. Khanna says. “Although Australian regulations are not enforcing Tier 4 compliance, SANY equipment is manufactured with Tier 4 engines and we see this as a major competitive advantage. In 2012, SANY acquired German concrete pump manufacturer Putzmeister, the machinery of which is distributed in Australia by national distributor CPE Machinery. The excavator range starts at 1.6-tonne capacity through to 75 tonnes and SANY is looking to further expand the range into the mining sector. “We are planning to get into the mining space in a big way,” Mr. Lee said. “Australia is a mining benchmark market and we see a lot of potential for SANY to do good business and create a footprint in mining and construction. “For us, Australia is a mirror for other international markets, so if we are successful here, other global markets will look at SANY differently. “Our approach to the Australian market has been slow, patient and deliberate,” Mr. Khanna says. “The emphasis needs to be on service, aftersales and product support as well as equipment configuration. We have spent time studying the market, ensuring we introduce the right type of models rather than introduce product we think the market will buy. We have done our due diligence and flown under the radar because we want our approach to be right from the beginning. “We have finalised a number of dealers but we’re still looking for the right business partners to represent SANY in road, construction equipment and mining. 2019 will see a greatly increased presence from SANY in these markets,” Mr. Lee agrees. “Australia is a massive continent and we can’t expect one company to cover everything. We are looking for very specific dealers with strengths in their markets and technicians to provide the best service and product support. “You can have the best quality equipment but that counts for nothing without the right product support. In China, our policy and commitment to the customer is that we will be on site in two hours. It will be the same for this market, so we need coverage, workshop facilities, the right tools and the right training. “Chinese products are normally regarded as a mid range compared to European, US and Japanese brands, which compete at the premium end of the market,” Mr. Lee says. SANY has divided the global market into regions including Latin America, Africa, the Middle East, Australasia, Russia, South-East Asia, US, Europe and India. To support the 10 plants in China, SANY has major manufacturing hubs in India, the US and Germany. “Over the next five years we have big and dramatic plans for the Australian market. We want to be a market leader in each segment. That’s a clear goal, not just roads, but every segment including mining, construction, ports and concrete.